Incredible quick reads by a truly great writer. Less words, more story. Get to the good bits faster. (Except, they’re all good bits.) 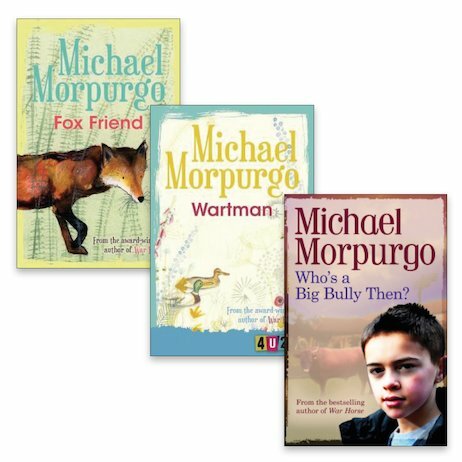 Michael Morpurgo is a BIG star. He’s written over 100 books, and won all the top book prizes. But like any good author, he knows that a great story doesn’t have to be long. It just has to be great – that’s all! So enjoy a taste of utter brilliance in these short quick reads: bullies, foxes and more. PS: they’re great for anyone, but they have extra help for kids who find reading tough. Tell all your friends (especially the dyslexic ones) about them! Interest age 8-12. Reading age 7.